I wasn’t planning to post about this, but I was overtaken with a wave of gratefulness today, as usual, for my life lived in recovery. I had a semi-emergency surgery this week, and can’t imagine how hard this would’ve been if I wasn’t sober and focused on health of mind and body. The way I conduct my recovery isn’t for everyone, but I forewent opioid and narcotic pain meds after post-op, though I did have the good stuff in the hospital. There is no nobility in suffering, but I have reconceptualized my pain by stubbornly willing it into a string of silver linings. I was supposed to be in Texas this weekend, but my beau flew up here on a moment’s notice, instead. 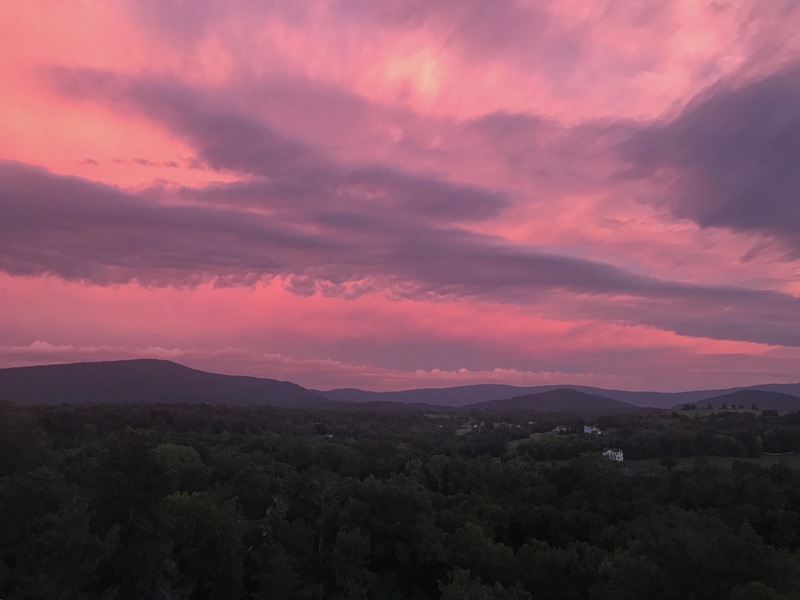 And I’ve been fortunate to be able to recuperate in the beautiful countryside of the Shenandoah Valley, watching fog lift over the river at dawn, and rumbling thunderclaps quiet themselves with a purple sunset. My tribe has been wonderful and abiding, of course, as they so consistently are. And I got to spend the evening with a dear friend joining us briefly in the city, who I would’ve missed seeing otherwise. 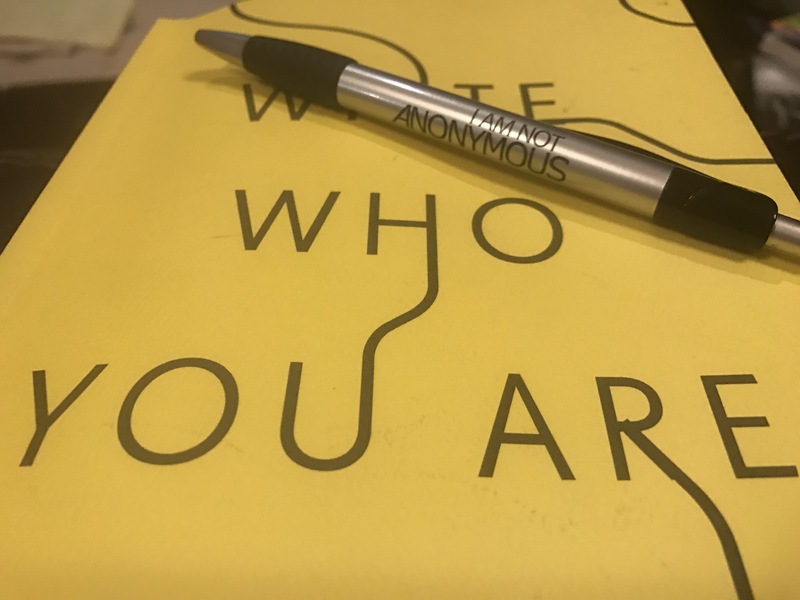 I am reminded further of my good fortune in life’s small details: wearing my I Am Not Anonymous t-shirt, and blindly selecting the matching pen from a drawer as I read Write Who You Are — a book of poetry written by immigrants for a program I am now facilitating. To be able to serve this way without compunction is indeed a dream. Getting caught in a hailstorm and thusly listening and smelling the lingering, sweet summer rain. The conversation inherent in a meaningful silence. The point of it all here being: If I can do the hard thing I thought I could not do, you can do the thing you are afraid of. The thing that makes you better, that obliterates your comfort zone, that takes away things before it heaps on rewards. Recovery is this thing for me. I hope that you find yours.